I have heard good reviews about this book for years, and it has been a popular choice as a Book Club read, so I looked forward to listening for some time. What a disappointment! Although I found the story somewhat interesting and informative at times, the narrator's voice was so grating that it was a real struggle to complete. I would suggest a paper copy of the book, if you want to bother at all. The theme of the book is about female friendship, but I found it difficult to relate to the selfishness of the main character. The reasons for Lily's abandonment of her life-long friend for many years was hard to fathom, and its resolution didn't ring true for me. For a much better, less sappy story, I'd vote for Memoirs of a Geisha anytime! 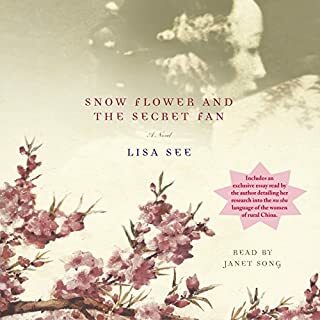 I participated in a discussion of this book recently in a book group, and I took the opportunity to recommend Audible to the whole group as a wonderful way to "read" while commuting, taking a walk, etc! I thoroughly enjoyed Cherry Jones narration of this memorable work. The careful development of the strong characters as they struggle in their isolation makes this a fascinating read. 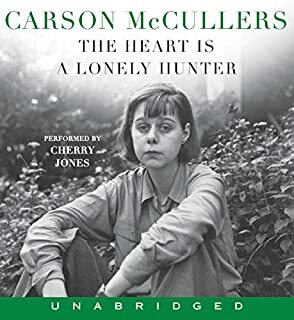 It is difficult to fathom the maturity of Carson McCullers who wrote this novel at the age of 23 years. Do not expect a page turner, but be charmed by the weaving of the tapestry Ms McCullers designs. The story will stay in your heart long after the last chapter.